I kept wondering, how in the world do you get wax from coconuts? Well, here’s the thing. It’s not actually a wax by itself. The way that “coconut wax” is made, is the coconut oil is hydrogenated and refined so that the melt point will be a bit higher than regular coconut oil (you may have seen how coconut oil is solid until your house gets in the 70’s, where it then begins to turn liquid). Once it is hydrogenated more, then other vegetable waxes are added to it. 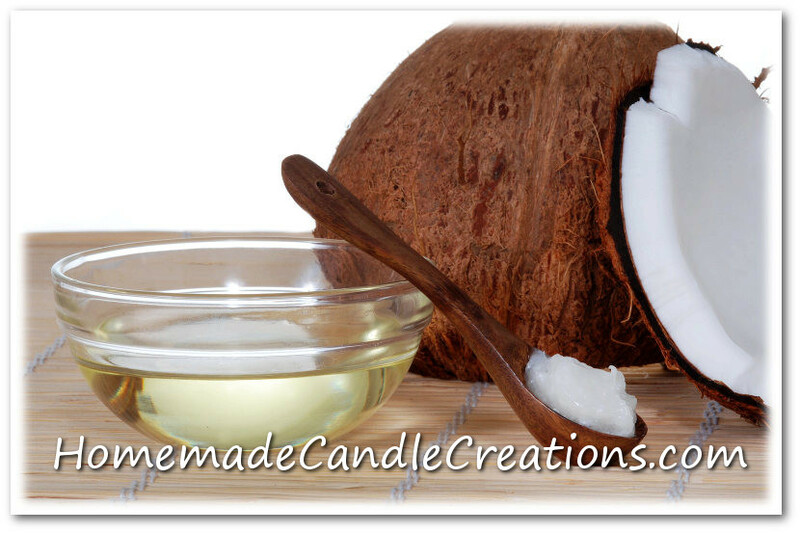 Coconut wax is a soft wax, so I could see where it may not be ideal for warmer climates or if you are needing to ship them to warmer climates. I have read that it does burn cooler though, and holds more fragrance oil than soy wax. I am excited to try coconut wax. I’m thinking I may try mixing it with a pillar blend soy wax to up the melt point and hopefully still get the benefits I’ve heard about from the coconut wax. Follow along and I’ll post my experiences with using coconut wax!